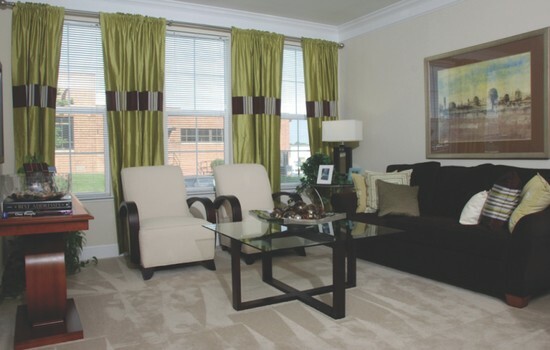 The location is good, about 10 minutes to either the Crystal City or Pentagon City Metro stations. Whole Foods is directly across the street and there are several restaurant and cafe options within a few blocks. The building has a gym with basic cardio machines and some weight machines and a laundry room with many, usually empty, machines – although I have a washer/dryer in unit and never had to use the building's facilities. There is also an outdoor pool. My unit was a fairly spacious studio with two large closets and enough floor space to comfortably fit a "bedroom area" and a "living room area" with a full couch and coffee table. Also, the balcony is a nice size with enough room for a bistro set and some plants. I think the cleanliness of the building might be an issue for some. When I moved in to the apartment, the carpets needed cleaning and there were a few small roaches. However, the management company has always responded promptly to my questions and complaints, and they took care of the carpet and roach issues within days of me moving in. I have not had pests since then, although I have heard complaints from others in the building for roaches. Perfect spot just outside of the city to allow for bigger place for less the price of living in the district. The same amount would only allow me to live in a studio. Close to the Pentagon City Mall and Metro. Wish utilities were included but still worth living here. Perfect spot just outside of the city to allow for bigger place for less the price of living in the district. The same amount would only allow me to live in a small, dorm-like studio in the district where my queen-sized bed would take up most of the room. Close to the Pentagon City Mall and Metro. Best value for money in Center City! Best value in downtown Philadelphia! Really close to everything that happens in Center City for MBA students: sports, nights out, networking and company events. Campus is 20min away by trolley and 40min away by foot. Gym is ok. Overall, building amenities could be improved. Beware at it gets noisy during the weekend nights, especially from midnight to 2am as people get out of the nearby clubs and bars. The apartment itself is a decently new/renovated building. 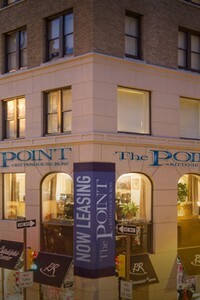 The high points are spacious rooms at a low price, a concierge in the lobby until 11pm on weekdays and 24 hours on Friday-Saturday. The apartment is pet friendly, and relatively quiet. Every unit has a spacious balcony with a pretty decent view. Negatives are a bug problem on the lower floors, but management provides free extermination services once weekly. Another issue is the heating/air conditioning. There is no temperature control, and no way to set the fan to 'on', you can only have it at 'auto' or 'off', which is a bit annoying. There is construction going on nearby, which will block some of the view when complete, but will also have several new stores on the ground floor. Overall I love living in this building. I think it is the best value for the price in the area. Overall a nice building with newly renovated, modern apartments, spacious floorplans, and convenient location. The main downside to the apartment is the management, which seems to have very frequent personnel turnover (I had to deal with 4-5 people on one issue due to turnover) and is generally unresponsive. The location of The Point at Pentagon city cannot be beat. The metro, mall, shopping and restaurants all within walking distance. On the other hand, its an old building and we have had a lot of issues. in addition to that, the management is terrible! 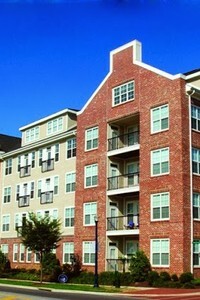 The apartment unit itself is not good enough shape and the maintenance staff is quick to respond to issues. The amenities are fairly good, but the parking fee is very high. I also feel that building security could be improved. Most of the time one of the two main doors is out of order. In addition, the door from the garage to access the building is never secured. I'm happy so far. The gym is lacking diverse equipment. My apartment picks up 52 wireless signals so my wi-fi can be slow at times. Comcast is the only provider. All-in-one washer dryer is weak and takes several times to dry. It does have a dog park on site which is nice. 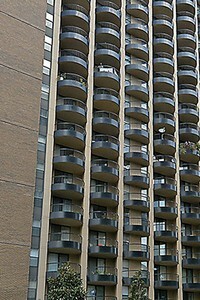 This apartment building is quite and offers a lot of amenities, including pool, great gym and nice green areas inside. It is big and you have a great view of Silver Spring, if you have a window facing the outside of the building. Concierge at all times, I love how the elevators are quick. Maintenance is fantastic. 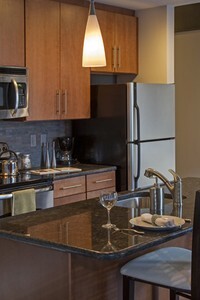 And you are close to downtown Silver Spring and public transportation!! It is a great place for a starter apartment. It is located right near the Silver Spring Metro which is convenient for those that work downtown and it is near the Downtown area as well with easy access to the Fillmore, the movie theater and restaurants. It has options for modern or traditional interior features but there is definitely a cost difference. Management is pretty quick to fix any problems and the front desk staff are typically very friendly. The plaza that is placed in the center of the building is lovely with plenty of space to practice yoga or hang out with friends by the fire pit. There is also a running track that is located in the center of the building which is great if you don't want to run on the street or on a treadmill. There is a ton of closet space and different storage options in our apartment, and there are a wide variety of apartment layouts to choose from. The building is also pet friendly and hosts a number of social events throughout the year. This place is cheaper than the others in the neighborhood... but you'll soon see why. The front side of the building is well maintained but the backside - the management couldn't care less. The other tennants are loud. Lots of parties in the courtyard. On our side of the building there is little or no sunlight. The ceilings are high everywhere, but really low in the kitchen and bathroom. The exagerated differences make the bathroom and kitchen feel cavelike. All finishes look nice, but you quickly find that they are finished poorly and things come apart-- the door nob on the laundry room, the sink facets at have a spare quarter inch that jiggles, our tub is REALLY old, but painted over with fresh plaster-- slopily so some plaster is also on all the finishes. There is hair painted into the walls in some places. It all seems like a rush job. Once our (only) toilet broke and they said it would take two days to get it replaced-- I had just come home from the hospital after having a baby! 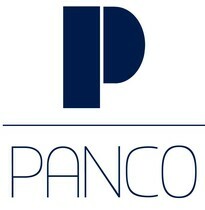 They seem to take good care of their employees, whcih I admire, but the same is not true for the tenants. There are some really good staff members (like Justin!) but many who just don't care, too. I would say-- if you are a young professional this is a GREAT place to live. But not the best for someone with a little family and not hte best for someone older than late 20s. The location of the apartment is great but the management is awful. There were so many obstacles to signing a lease here, as the leasing agents didn't always seem like they knew what they were doing. There are also many things that could be fixed within the complex, like broken elevators and business office.